Indiana University Libraries Moving Image Archive has launched a digital, online repository of propaganda films from World War II. “WWII Propaganda Films and IU: Audiovisual Production, Circulation, and Education in the 1940s”, whose opening has been timed to commemorate the 70th anniversary of D-Day and the Battle of Normandy, focuses on the university’s use of mass media to inform and instruct Americans about how best to act if they were to help their country during the conflict of 1939 to 1945 that the United States joined after the Japanese attack on Pearl Harbor, Hawaii, in 1941. The exhibition, drawn from original 16mm prints and sorted by film title and subject, is freely available online. Indiana University originally distributed the films during and after the war years as part of the IU Bureau of Audio-Visual Aids. 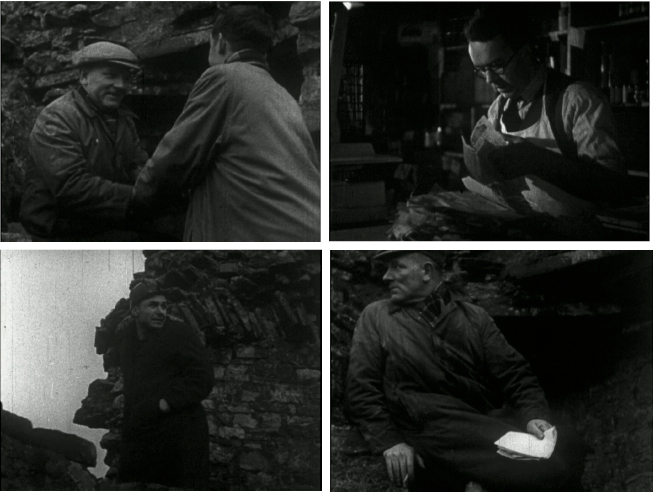 They are form part of the Archive’s core collection of educational films, which is one of the largest of its kind. As a key center in a national War Information Service, the institution provided campus exhibits, lectures, and library collections; correspondence courses; and motion-picture and lantern-slide presentations. It also had a “Committee on Civilian Morale” whose members included its dean of faculties, vice-president for university news, director of its Office of Military Information, and others. It could also boast committees on information guides, community programs, and library cooperation. Then there was its curiously titled “Rumor Clinic” whose chair was a vaunted figure in Indiana journalism, professor J.E. Stempel. Any trace of its activities is now hard to locate. It presumably took a cue from an influential weekly column of the same name in the Boston daily newspaper, The Herald Traveler. During its run, from March 1942 to late 1943, 40 widely circulated dailies imitated it. In Rumors: Uses, Interpretations, and Images (Transaction Publishers, 1990), French marketing scholar Jean-Noel Kapferer explained that the original sought to refute damaging rumors; to that end, it enlisted influential figures like President Roosevelt and General Eisenhower, psychiatrists who explained the rumor’s power to captivate attention, and ruses that writers deftly spun to scotch a chosen rumor of the week. The committees’ War Films bulletin guided schools and community discussion groups in how best to present films. Institutions could hire them under generous terms that encouraged repeated presentation. It was a time when schools owned 80 percent of the projectors in the state, and loaned them readily to clubs and other community organizations. 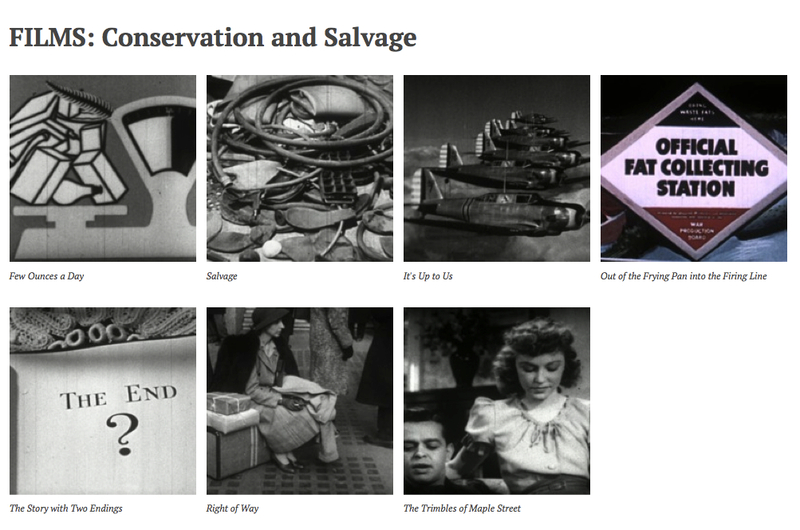 Films fell into such categories as conservation, salvage, machine-shop training, pre-flight training, nutrition, and post-war planning. Film styles ran from the mundane, fix-it variety to the quite colorful. Among the latter was Shunter Black’s Night Off, about a wagon chaser in the shunting yard of an English railroad junction who heroically extinguishes a blazing railcar full of explosives, illustrating how to dispense with incendiary bombs. In Ack Ack, footage of British anti-aircraft batteries shows how to locate planes, predict flight position, prevent accurate bombing, and shoot down enemy planes. Goofer Trouble presents a foolhardy civilians leaving an air-raid shelter to judge the performance of fighter pilots over England. 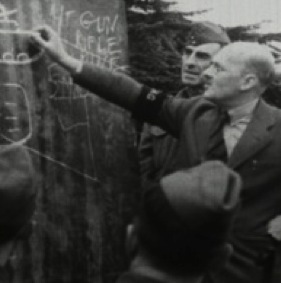 The film ends by imploring viewers to leave fighting to the military forces. Similarly, Mr. Proudfoot Shows a Light presents a Londoner who by flaunting a blackout directs enemy bombers to an aircraft factory. Divide and Conquer cautions Americans to beware the kinds of Nazi propaganda and espionage that deeply harmed French morale, such as radio broadcasts, paid German agents, and fifth columnists of the kind already busily spreading fear, distrust, and confusion in American subways, streets, and restaurants. And yet, “we Americans” will be nor frightened and fearful, nor cowed and confused. Not only human foreign agents threatened. Behind the Shadows shows how a doting aunt infected a boy with tuberculosis. Fortunately, a high-school doctor notices the boy’s early symptoms, and warns that carelessness spreads the disease. Another enemy, contends Muddy Waters, is poor farming and ranching practices that have depleted soil-binding vegetation and made soil vulnerable to floods and erosion. In times of hardship, citizens can aid the war effort by such simple means as preserving various goods and materials, shows Few Ounces a Day. It explains the importance of salvage to the flow of goods and provides examples of useful materials commonly thrown away. Similarly, in Salvage, Donald Nelson, the head of the War Production Board, says Americans must salvage metals, fats, and rubber for the war effort, just as American women helped win the Revolutionary War by melting their pewter dishes into bullets. As ye shall salvage, so shall ye sow, urges Henry Browne, Farmer. It tells of how a black-American farmer and his family assist in the war effort by planting 15 acres of peanuts to provide valuable vegetable oils. Every member of the family is exemplary: Farmer Browne conserves his land and his equipment; his wife sows a victory garden; two of their children milk cows and raise chickens while the third and oldest serves the 99th Pursuit Squadron of the Army Air Forces. For its new exhibition, the Indiana Archive has selected original 16-millimeter prints that the university’s Bureau of Audio-Visual Aids distributed during and after the war years. Archive staff used catalogs and correspondence related to the Bureau to help create the digitized collection, with films presented online much as they would have been in the 1943 Bureau of Audio-Visual Aids War Films bulletin which suggested how schools and adult discussion groups could effectively use the films. The new exhibition makes some titles available online for the first time. 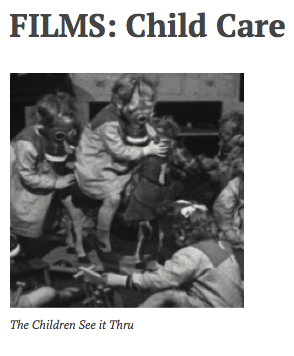 Among those is The Children See It Through, a 1941 film produced by lauded British wartime documentarian Paul Rotha, a renowned English documentary-filmmaker, focuses on the life of British children during the war. “WWII Propaganda Films and IU includes instructional films intended for limited audiences, such as a film for engineering students about how to build a B-26 medium bomber. Many feature big names of Hollywood and other cultural circles such as Clark Gable, Jimmy Stewart, Orson Welles, Bing Crosby, and Dylan Thomas, although by far the majority feature far lesser lights of cinema. Also among the selections are government-sponsored films and newsreels from the United States, the United Kingdom, and Canada, with content ranging from the purchase of war bonds, to the growing of victory gardens, to the war efforts made by students of historically African-American colleges. 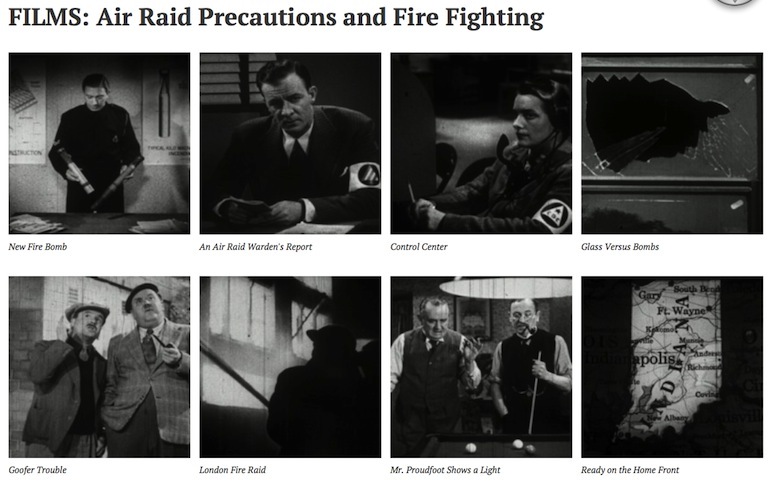 By providing free online access to these films, say Archive officials, they hope to promote a deeper understanding of the ways in which governments and filmmakers sought to use film to improve wartime life. But the digital collection and exhibition also help the IU Libraries Moving Image Archive publicize the extent and variety of its overall collection, says Rachael Stoeltje, the archive’s director, in a press release. The war-propaganda collection is just one of many that the Archive holds, from many periods and genres. It boasts art-house experimental films, government-sponsored “social guidance” films, National Educational Television programs, gag reels, turn-of-the-century Pathé Frères productions, and iconic 1980s blockbusters. It counts among its most proudly held items some 48,000 educational and propaganda films dating from before World War II. Indiana University was one of the major university-based distributors of educational films from the 1930s through the 1990s, and one of very few distributors to keep and preserve them. Also prized are the 3,964-item Bradley Film Collection includes any of the most important and influential actors and filmmakers of the 20th century; a collection of thousands of IU history and sports films; and the Lilly Library’s personal film collections of legendary filmmakers Orson Welles, John Ford, and Peter Bogdanovich. The Archive cites as its “rare treasures” films like Amblin’, Steven Spielberg’s first completed film, released in 1968; The Trail of Tears, a 1970 NET film featuring Johnny Cash; Peer Gynt, starring a 17-year-old Charlton Heston; The U.S. Department of Defense series, Why We Fight, which Frank Capra directed during World War II; The Winged Scourge, a 1943 Walt Disney film about malaria; almost 30 titles of the 1950’s CBS series “You Are There”; and the world’s most complete collection of Encyclopedia Britannica Films.